A globally-renowned expert on culture and cognition, multicultural identity and intergroup relations, Prof. Ying-yi Hong is no stranger to multiculturalism, having grown up in colonial-era Hong Kong, where she absorbed both Chinese and Western influences. Prof. Hong received her PhD from Columbia University and previously taught at the Hong Kong University of Science and Technology, University of Illinois at Urbana-Champaign, and Nanyang Technological University in Singapore. Her research reflects her global experiences. 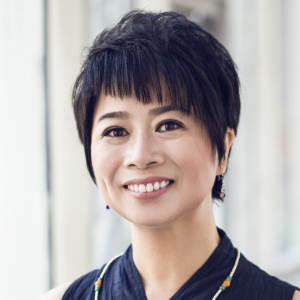 The editor of over ten books, including The Oxford Handbook of Multicultural Identity, which won the 2015 Ursula Gielen Global Psychology Book Award, Prof. Hong has published over 120 journal articles and book chapters and her work has been cited widely in the fields of psychology, business and education. She has received several awards for her pioneering work, including the Otto Klineberg Intercultural and International Relations Award in 2001, International Society for Self and Identity Outstanding Early Career Award in 2004, and Nanyang Award for Research Excellence in 2013. Prof. Hong was elected Global Expert of 千人计划, and Fellow of the Association for Psychological Science (APS) and the Center for Advanced Study in the Behavioral Sciences (CASBS) at Stanford University. C. T. Tadmor, Y. Hong, M. M. Chao, and A. Cohen (in press), “The tolerance benefits of multicultural experiences depend on the perception of available mental resources,” Journal of Personality and Social Psychology. N. Bendapudi, S. Zhan, and Y. Hong (2018), “Cultural values differentially moderate the benefits of basic education on two types of national innovation outputs,” Journal Cross-Cultural Psychology, 49(2), 199-222. T. Lan and Y. Hong (2017), “Norm, Gender, and Bribe-Giving: Insights from a Behavioural Game,” PLOS ONE, 12(12): https://doi.org/10.1371/journal.pone.0189995. Y. Hong and B. K. Cheon (2017), “How does culture matter in the face of globalisation,” Perspectives on Psychological Science, 12, 810-823. W. J. Yap, G. I. Christopoulos, and Y. Hong (2017), “Physiological responses associated with cultural attachment,” Behavioural Brain Research. 325 (Jan.), 214-222. B. K. Cheon and Y. Hong (2017), “Mere experience of low subjective socioeconomic status stimulates appetite and food intake,” Proceedings of National Academy of Sciences, 114(1), 72-77. D. Y. Phua, M. J. Meaney, C. C. Khor, I. Y. M. Lau, and Y. Hong (2017), “Effects of bonding with parents and home culture on intercultural adaptations and the moderating role of genes,” Behavioural Brain Research. 325, 223-236. Z. Liu, X. X. Liu, Y. Hong, J. Brockner, K. Tam, and Y. Li (2017), “Is individual bribery or organizational bribery more intolerable in China (versus in the United States)? Advancing Theory on the Perception of Corrupt Acts,” Organizational Behavior and Human Decision Processes. 143, 111-128. S. Huff, F. Lee, and Y. Hong (2017), “Bicultural and Generalised Identity Integration Predicts Interpersonal Tolerance,” Journal of Cross-Cultural Psychology, 48(5), 644-666. S. L. Yeo, W. Shin, M. Lwin, J. Williams, and Y. Hong (2017), “Are Primetime Diets Congruent with Dietary Recommendations? Content Analyses of Food Advertisements in US, China, and Singapore,” Global Health Communication, 2:1, 30-38, DOI: 10.1080/23762004.2017.1278991. B. K. Cheon, G. I. Christopoulos, and Y. Hong (2016), “Disgust associated with culture mixing: Why and Who?“, Journal of Cross-Cultural Psychology, 47 (November), 1268-1285. Y. Wang, L. Zhang, X. Kong, Y. Hong, B. Cheon, and J. Liu (2016), “Pathway to neural resilience: Self-esteem buffers against deleterious effects of poverty on the hippocampus,” Human Brain Mapping, 37, 3757-3766. H. Liao, Y. Hong, and J. Rounds (2016), “Perception of subtle racism: The role of group status and legitimizing ideologies,” The Counseling Psychologist, February, 44 (2), 237-266. G. Christopoulos, X. X. Liu, and Y. Hong (2016), “Toward an Understanding of Dynamic Moral Decision Making: Model-Free and Model-Based Learning,” Journal of Business Ethics, 133, 2. Y. Hong, S. Zhan, M. W. Morris, and V. Benet-Martinez (2016), “Multicultural Identity Processes,” Current Opinion in Psychology, Vol. 8, April 2016, 49-53. B. K. Cheon, R. W. Livingston, J. Y. Chiao, and Y. Hong (2015), “Contribution of Serotonin Transporter Polymorphism (5-HTTLPR) to Automatic Racial Bias,” Personality and Individual Differences, 79, 35-38. Y. Chen and Y. Hong (2015), “Different ways to resolve discrepancy between descriptive and injunctive norms across cultures,” Journal of Cross-Cultural Psychology. S. Zhan, N. Bendapudi, and Y. Hong (2015), “Re-examining diversity as a double-edged sword for innovation process,” Journal of Organizational Behavior. M. W. Morris, Y. Hong, C. Chiu, and Z. Liu (2015), “Normology: Integrating insights about social norms to understand cultural dynamics,” Organizational Behavior and Human Decision Processes, 129, 1-13. J. H. Fu, M. W. Morris, and Y. Hong (2015), “A transformative taste of home: Home culture primes foster expatriates’ adjustment through bolstering relational security,” Journal of Experimental Social Psychology, 59, 24-31. Y. Hong and S. Zhan (in press), “Multicultural identities.” In The Handbook of Culture and Psychology, edited by David Matsumoto and Hyisung C. Hwang, Oxford University Press, Second Edition. C. Chiu and Y. Hong (in press), “Culture and creativity/innovation.” In The Handbook of Cultural Psychology, edited by D. Cohen & S. Kitayama, New York: Guilford. A. Roets, A. W. Kruglanski, M. Kossowska, A. Pierro, and Y. Hong (2015), “The motivated gatekeeper of our minds: New directions in need of closure theory and research.” In Advances in Experimental Social Psychology, pp.221-283. B. K. Cheon and Y. Hong (2015), “Cultural neuroscience of intergroup bias.” In The Oxford Handbook of Cultural Neuroscience, edited by J. Chiao, S-C. Li, R. Seligman, & R. Turner, New York: Oxford University Press, December 2015, pp. 249-270.